Ideal for meditation, releasing tension at the end of a hard day, or as an aid to better sleep, let Celestial Garden transport you into another realm of consciousness, filled with peace and calm. Every atom, molecule and cell in our bodies vibrates at a specific frequency. Listening to the correct sound frequencies will allow the body to reestablish a natural state of healing and harmony. This results in slower brainwaves, reduced blood pressure, heartrate, breath rate and stress hormones and supports the body’s immune response, leading to self-healing. Warning: Do not listen while driving or operating heavy machinery. I dedicate this album to all those seeking peace. May the sounds guide you within, to your own, true inner peace and wisdom. This is where self-healing takes place. Special thanks to Andrew Khor and Magdalena Spletter for their inspiration and support during the recording of the vocal tracks. And heartfelt thanks to my guides, ascended masters and angels for working with and through me during the whole recording process and every day of my life. 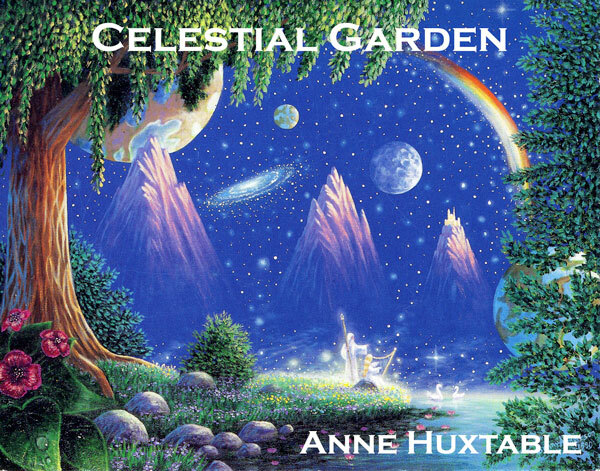 Front Cover artwork, Serenade from a Celestial Garden by Benny Andersson, used by permission.